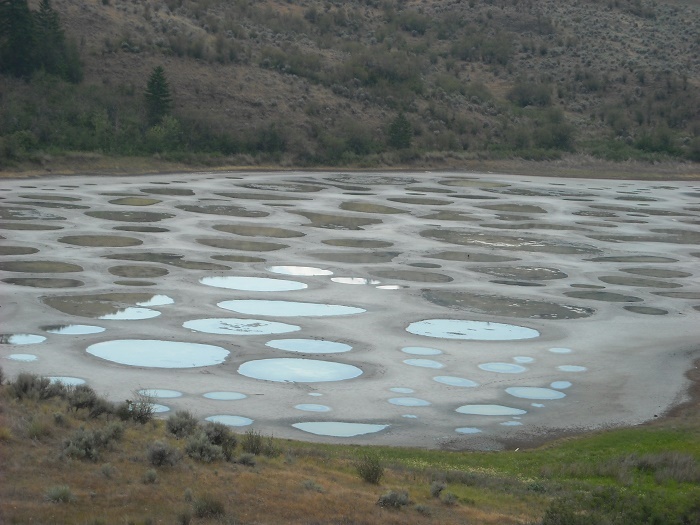 Spotted Lake, sometimes referred to as Kliluk, is a small but very interesting saline endorheic alkali lake which is located between the Okanagan and Simikameen Valleys in the westernmost province of Canada, British Columbia. 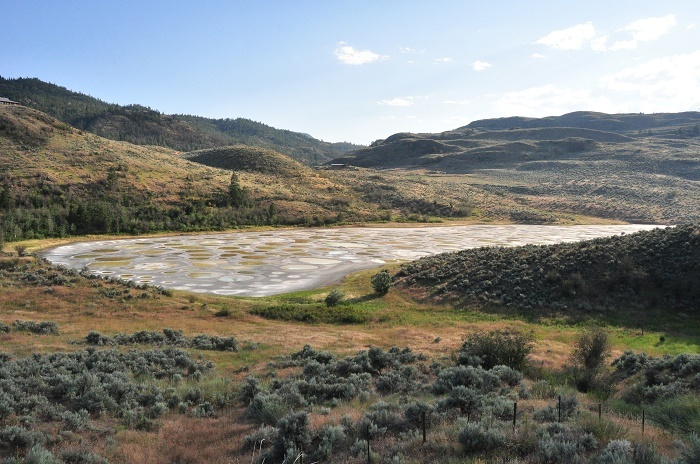 Located more precisely in the vicinity of Osoyoos which is the southern-most town in the Okanagan Valley, this significant treasure is richly concentrated with various minerals, more precisely with dense deposits of magnesium sulfate, calcium and sodium sulphates, in addition to the 8 other minerals and lower amounts of silver and titanium. 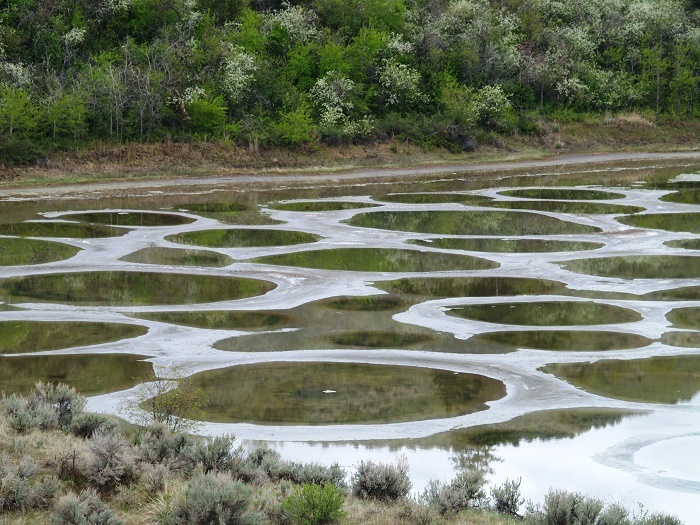 The most interesting is in summer when the water evaporates and the colorful mineral deposits are revealed like large spots on the ground, thus the name Spotted Lake. 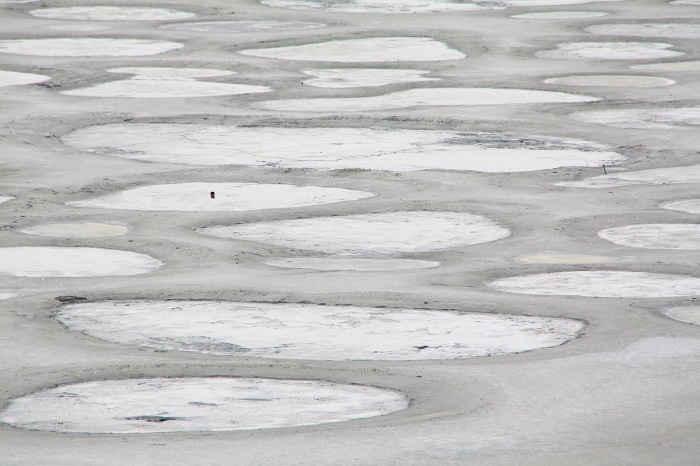 Those are actually the magnesium sifate deposits, and with the remaining minerals in the lake that harden, a natural paths for walking are created around the spots. With the years, the ground color changes from blue to green to yellow, depending on the mineral makeup of the individual spot. 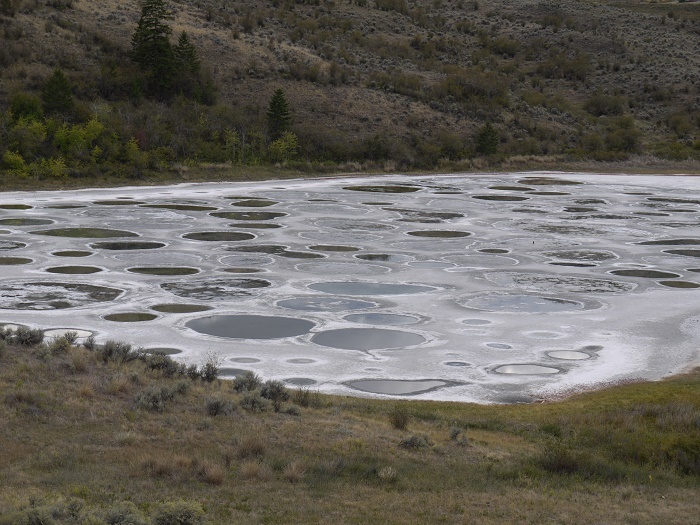 The Spotted Lake is definitely an important site to Canada’s indigenous people, the First Nations, who revere to it as a sacred site which provides therapeutic waters. 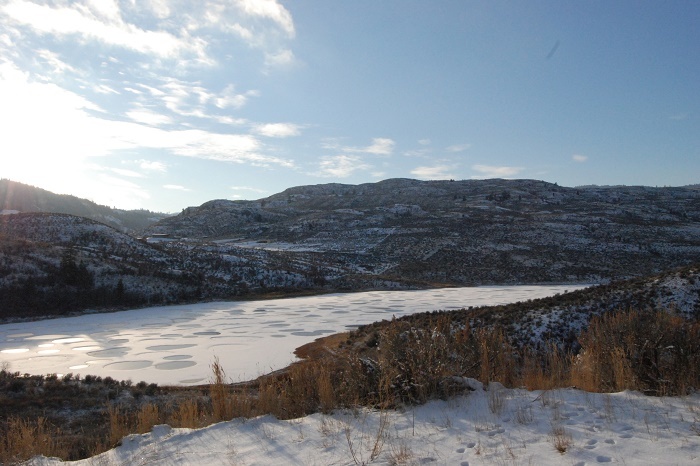 Unfortunately, this was not taken into consideration during World War I when the lake was used for manufacturing ammunition, and later when it came privatized, under the control of the Ernest Smith family. 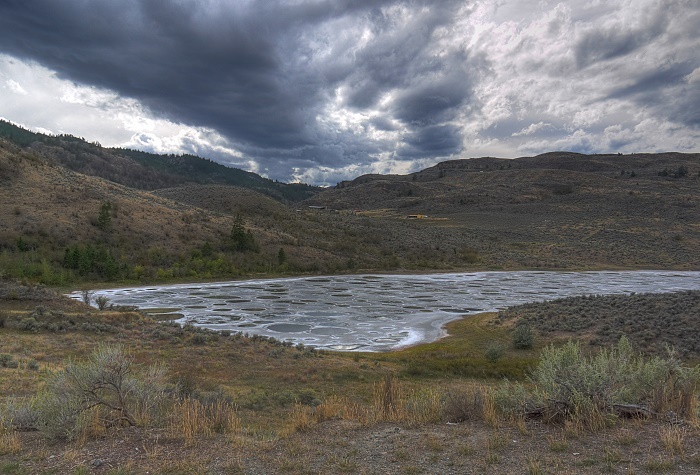 The First Nations people tried to purchase it back, where throughout the years they tried to convince the family to sell it to them, something that happened in October 2001. 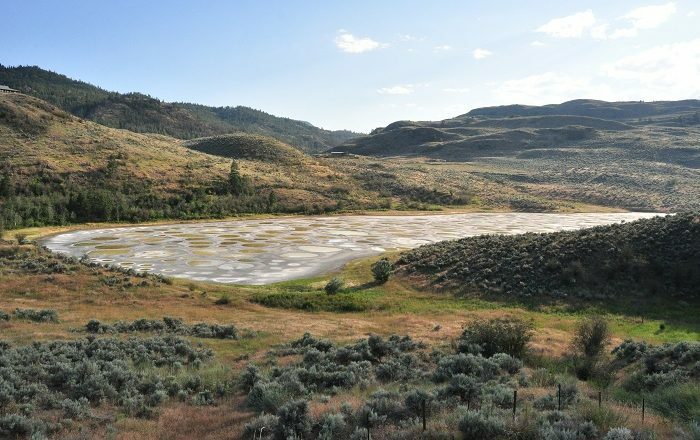 With this “deal”, nowadays First Nations are definitely proud to have the Spotted Lake once again in their possession, who fortunately are protecting it as it is supposed to be protected. 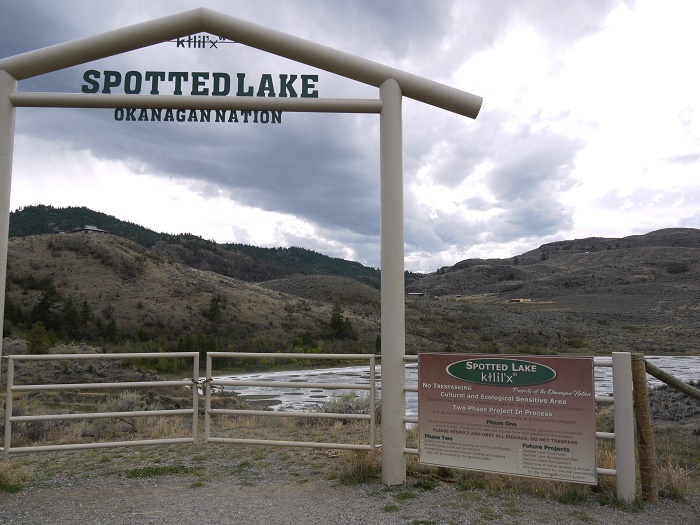 With the access via Highway 3, there is a roadside sign that explains to the visitors the cultural and ecological importance the lake has, as well as how important it is as a traditional medicine for the local Okanagan Sylix people. That is why, visitors are not allowed to go to the lake’s shores, and it can be viewed from the fence which has been erected for the lake’s protection. 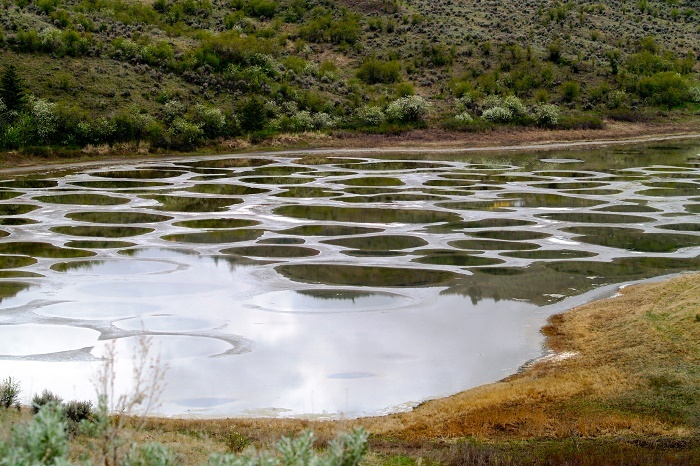 Still, even if one would visit it from a high ground, he/she would certainly start feeling like being on another planet, as the lake’s dots are giving an extraordinary feeling that one is located at that moment in an imaginary world which can only come from some kind of cartoon.